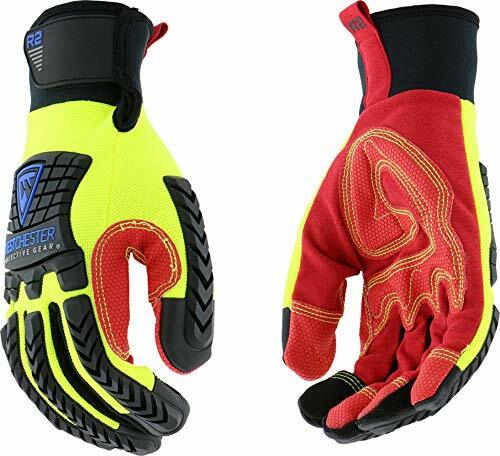 The R2 Reinforced Comfort Impact glove is a high-dexterity glove that packs a lot of features at a reasonable price. This glove features TPR along the full length of the fingers as well as on the knuckles and back of hand for protection against injury. A Hi-Vis red palm aids in signaling. Reinforced fingers, thumb saddle and palm enhance grip and resistance. Polyurethane-reinforced thumb saddle, palm and fingers adds durability and oil resistance. Palm width: 4.65in x Glove length: 10in.